Three weeks ago, I started a 5-part series on how to avoid deception in these last days. This has been a personal quest for me because I truly believe many many Christians will be deceived by the anti-christ and events that will take place toward the end of the age. The Bible, both Old Testament and New are FULL of warnings against deception. If you think you're immune, you are in grave danger. The first thing three things we must do to arm ourselves against deception are the following. If you missed them, you can click on them and read them at your leisure. And now the forth thing you must do to avoid deception is to make close friends with like-minded believers. I'm NOT talking about casual acquaintances at church with people you see every Sunday and spend a few minutes in idle chit-chat. I'm talking about real close intimate friendships. I'm talking about the kind of people you can call on a dime and they will drop everything to pray with you, for you, over you, or run to help you in time of need. I'm talking about people who know your weaknesses and appreciate your strengths in the Lord, friends who will not be afraid to tell you when you are drifting off the path. They must be like-minded believers as well. A few years ago, I wouldn't have thought that was important, but now with all the false doctrines and apostasy in the church, it is vitally important to be selective in the type of believers you hang out with. Someone who has bought into a deception theology could potentially manipulate you and drag you away from the truth. So, discernment is required when you choose your Christian friends. That may sound cruel but remember the Apostle Paul told the Corinthian church to not even associate with a believer who was not living in the light. Notice when you are drifting from God and pull you back! This is what the early church did in homes and why it is vitally important to add to your church-going a small home group or Bible Study. The Apostle Paul goes into great lengths to discuss in 1 Corinthians 12 how we are all a part of the Body of Christ and how each of us has been given gifts that are to be used to help each other. That is very hard to do in an auditorium style church, but much easier in a small group setting. Lastly, Scripture admonishes us to not forsake the fellowship of other believers. We can no more run this Christian race alone than a soldier can fight a battle alone. We desperately need each other. And especially in these last days. Agreed. 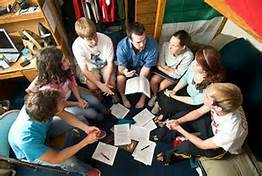 I've been in several small church groups throughout my lifetime and they are very beneficial. Love that, Rose! It's a perfect analogy! Amen and Amen to all you shared, once again. Totally vital, everything in your post ! Thanks so much for sharing. We most definitely NEED to be concerned with and care about "who" we are associating with ! People (we) in general, 'can be' easily swayed. Important to know the One True God, and His truths ... and be close with same-minded believers !!! Brenda, no worries. You aren't the only one who complains about posting on other sites. Apparently many people have trouble. The main one I need is Amazon... so if you're still interested, I can send you an Ebook. I assumed you didn't like Ebooks... ? That's all I can send reviewers now. Hugs! Amen!! Thank you for another wonderful post, MaryLu - my close friendships with believers is so vital to me, I appreciate so much all they add to my life and am blessed by their prayers!! I love your quote, Rose!! You are a blessing to me, Bonnie!